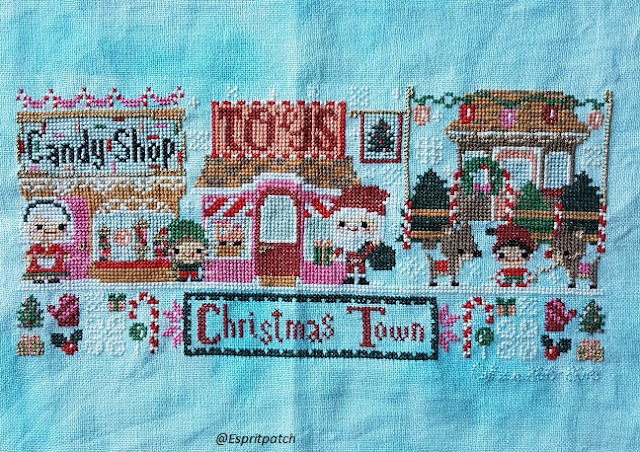 Welcome to the last Sew Cute Tuesday of 2016!! 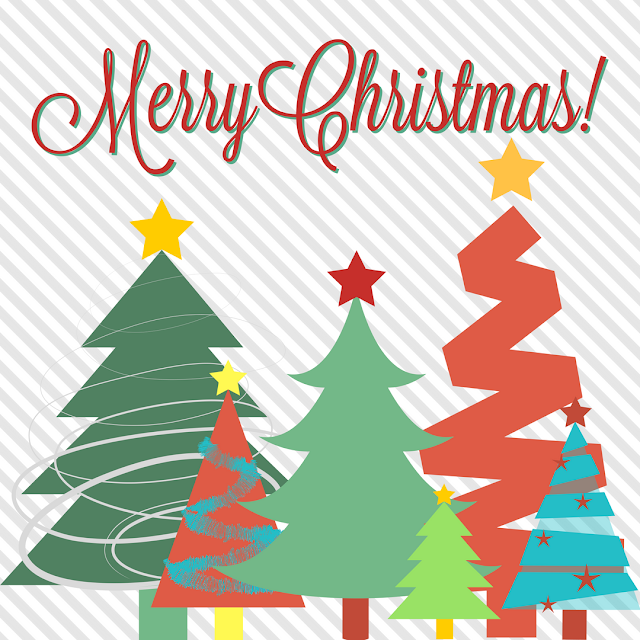 I hope everyone had a wonderful Christmas, ours was a very lazy day spent at home. I finished and shared my Solstice Quilt last week, and it has already gotten plenty of snuggles. The last thing I tackled last week was I shared my goals for next year as a part of Yvonne's #2017PlanningParty. I always try to make manageable goals and not overextend myself (I have a bad habit of trying to do everything) What are your quilty goals for 2017? 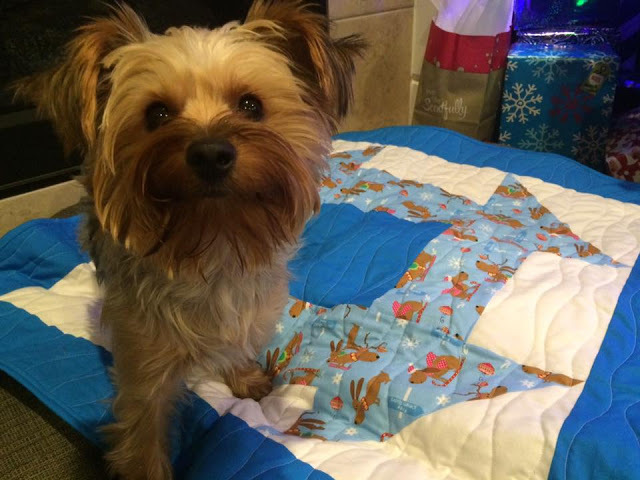 Jamie of Sew Brainy made this little churn dash quilt for her cute little pup! 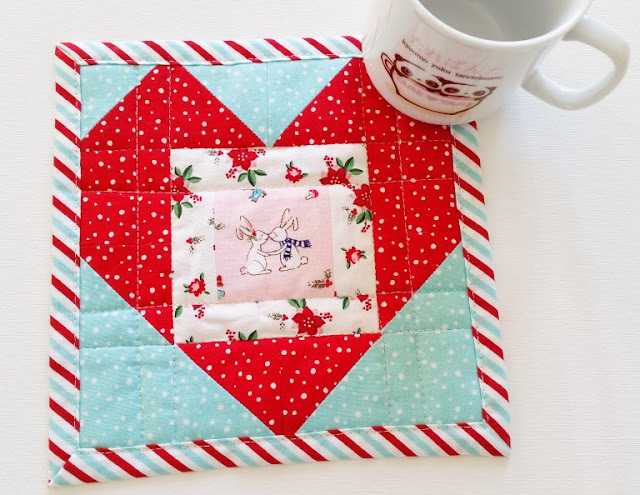 I love this cute little mug rug by Mad For Fabric! 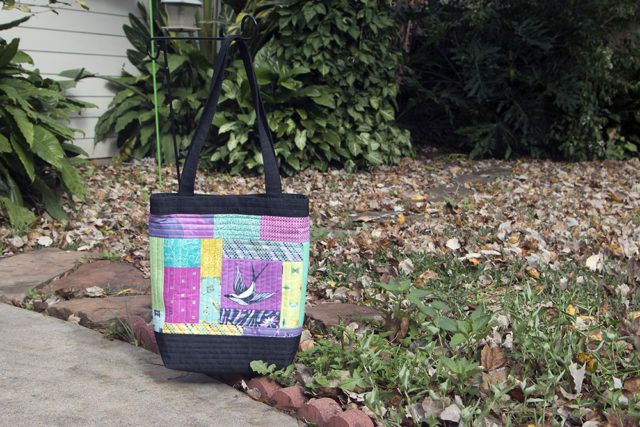 Last but not least is this awesome tote by Sara of Saroy! 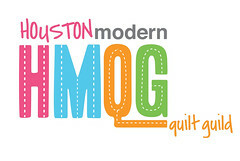 Yvonne of Quilting Jetgirl is hosting her annual planning party and I am excited to be joining in this year. I have the terrible habit of over extending myself in pretty much every aspect of life. Mama wants to do it all 😉 so my main goal for next year is to be realistic about what I can accomplish. 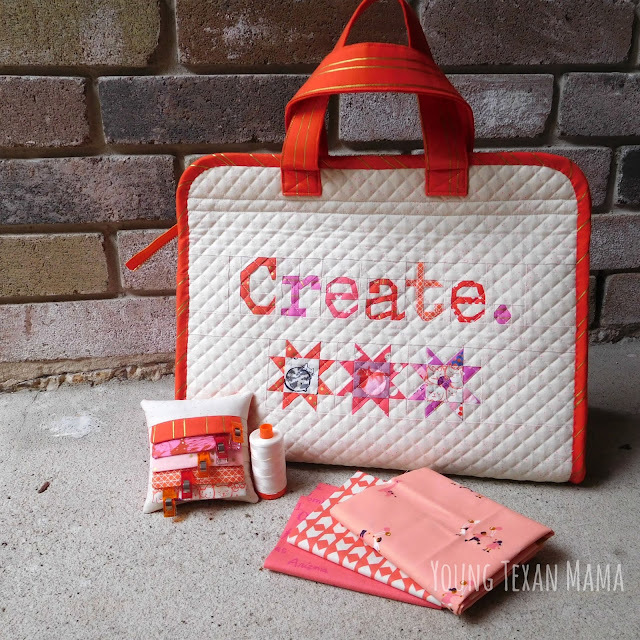 Work almost exclusively from fabrics in my stash. 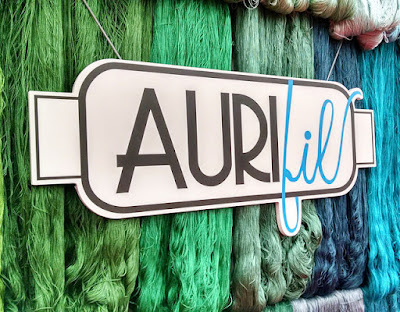 I have a bunch of fabric, like way more than I ever thought I would have when I started quilting almost 4 years ago! 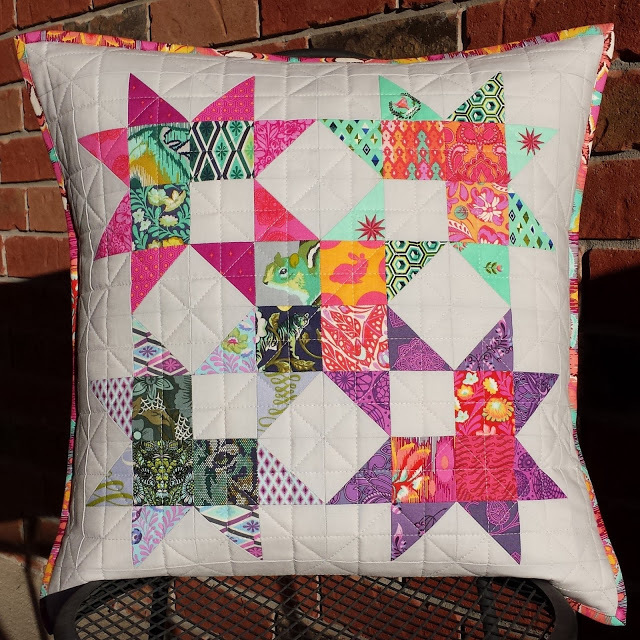 So I really want to work on using fabric faster than I acquire it. Finish 1 UFO/WIP a month. I have a stack of quilt tops needing quilting, and several other various UFOs and WIPs from over the years that I want to get finished. Limit the number of swap/bee commitments. Don't get me wrong I love swaps, but they can end up being super time consuming and also expensive. The only commitment that I am participating in at this point in time is the #RockinBlockBee. 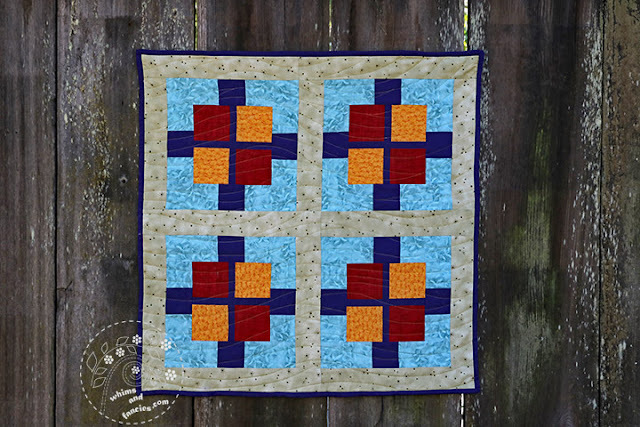 It'll be my first time participating in a bee, so I am excited about the opportunity to make new quilting friends while making a block per month. Plus it's a good way to use fabric from my stash. 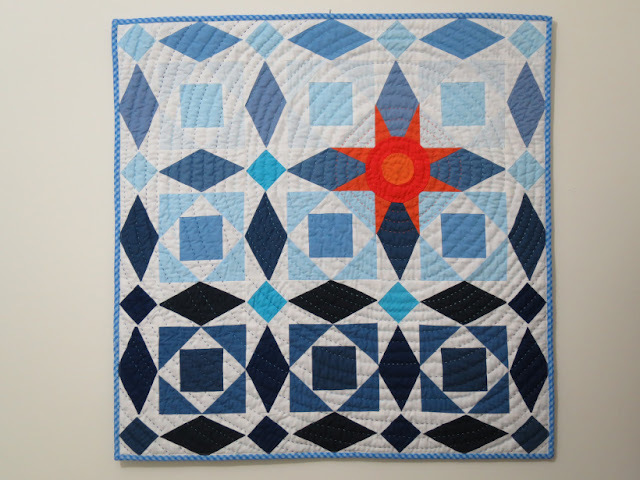 I am really excited about finally finishing this quilt, and I thought it was fitting to share about it today since it's the Winter Solstice! 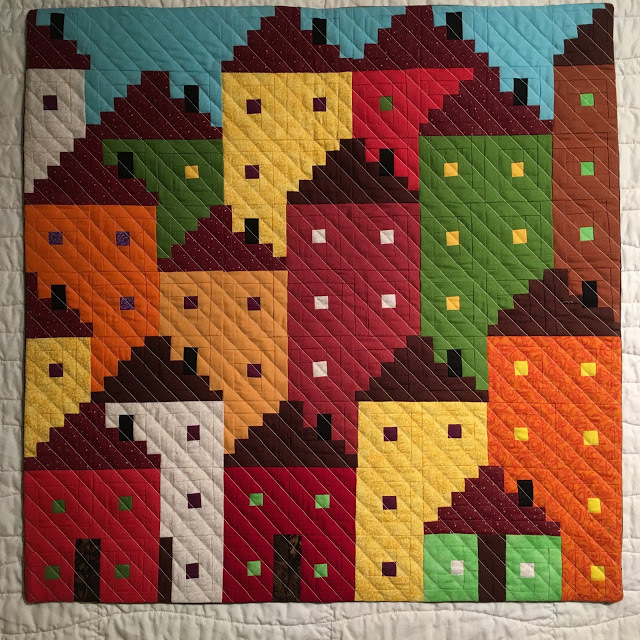 I started cutting and piecing the quilt top at my guild retreat last May (2015) and then it sat in my stack of quilt tops waiting to be quilted. 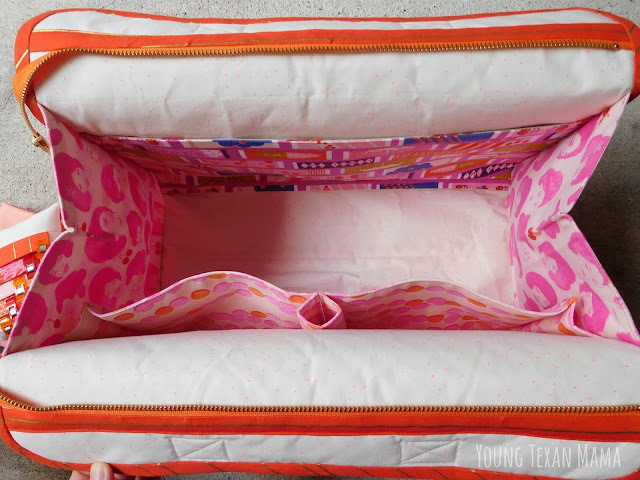 I had backing and binding ready for it, all I needed to do was baste and quilt it. The fabric I used is entirely from Kate Spain's Winter/Christmas line from a few years ago named Solstice. It's difficult to photograph, but the white is a really pretty white on white snowflake print. 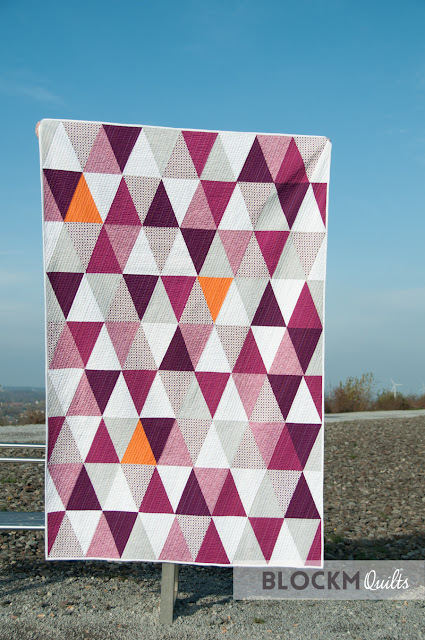 The pattern is the Swell quilt from Camille Roskelly's book Simply Retro. 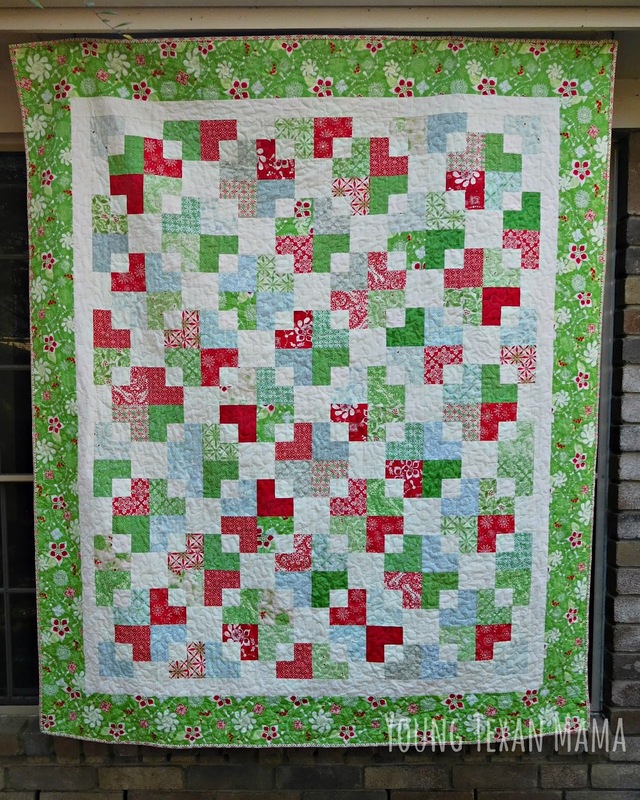 Last week I pulled out the quilt top, stitched the backing, basted everything together, and went to work quilting it. I chose to do a simple all over stipple with Aurifil 50wt thread in Dove(2600). Kim of My Go-Go Life introduced me to the color a little over a year ago, and I am so glad she did! It seriously blends into everything! You can see here that it stands out the most against the darker red fabric, but everywhere else it blends right into the colors around it. 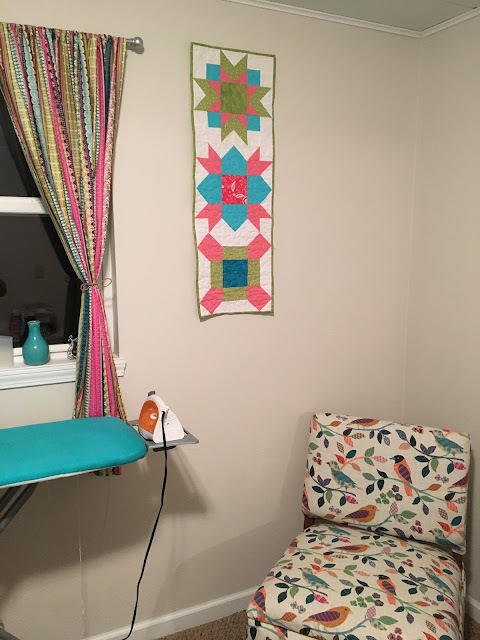 I was able to get this sucker quilted in a couple of hours, grabbing moments here and there when Sammy was asleep. 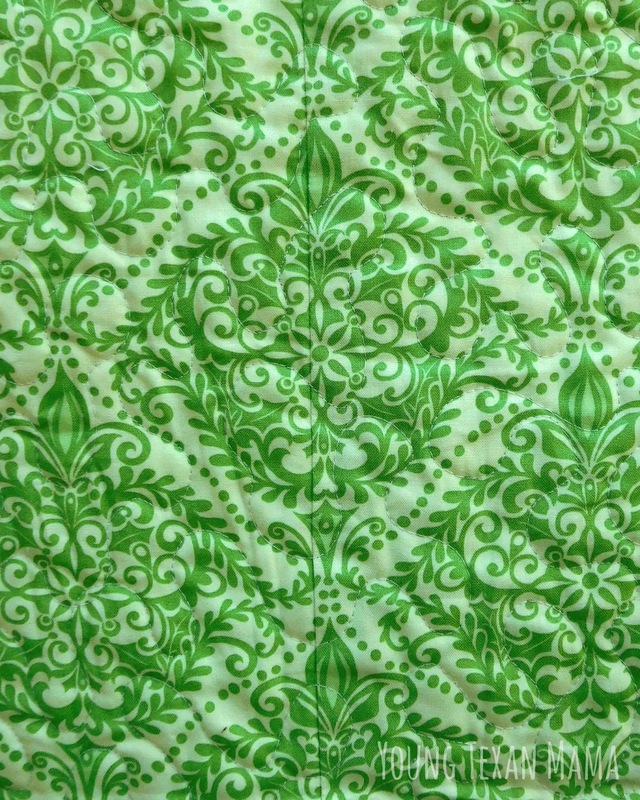 My backing is another print from the Solstice line and at first I didn't really like it because I thought it looked a little boring. 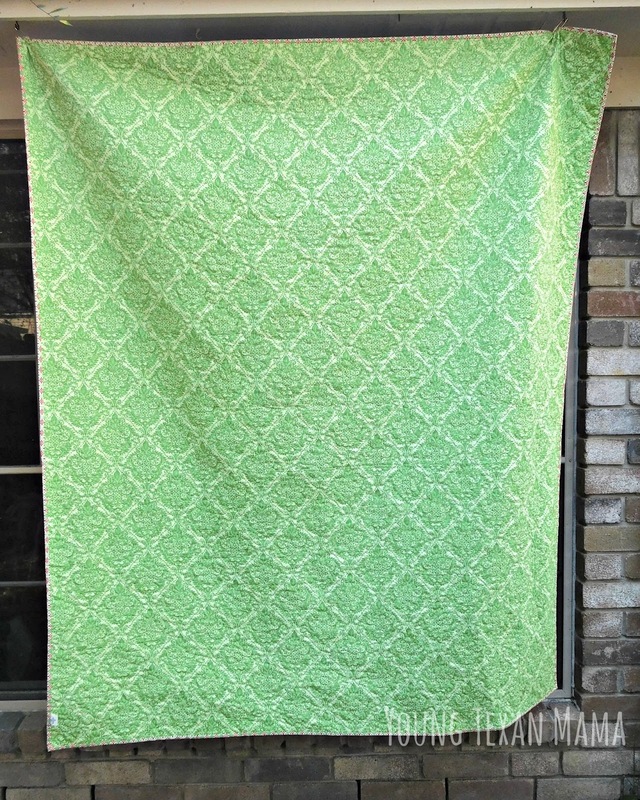 Once the quilt was finished, I held it up and was so glad I chose this print though. It looks so stinking cool, and once again I matched the pattern on the backing so there isn't a visible seam. Here is a close up where I matched it. I love this technique so much, and it is definitely worth the extra 20 minutes it takes! 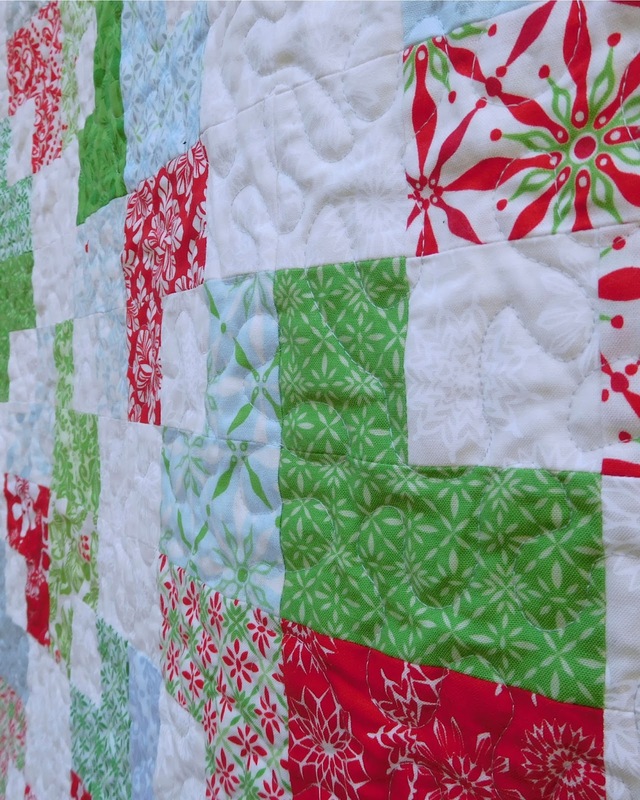 I still have a slew of quilt tops waiting to be quilted, including another Christmas one, but I have a feeling this is my final big project of 2016. Good morning everyone! I hope y'all had a great week, I'm sitting wrapped up in my newest quilt because it's 30 degrees outside and in Texas that is too dang cold to go outside 😉 I'll be sharing pretty pictures of it tomorrow, so for today here is a sneak peek from when I was binding it a few days ago. 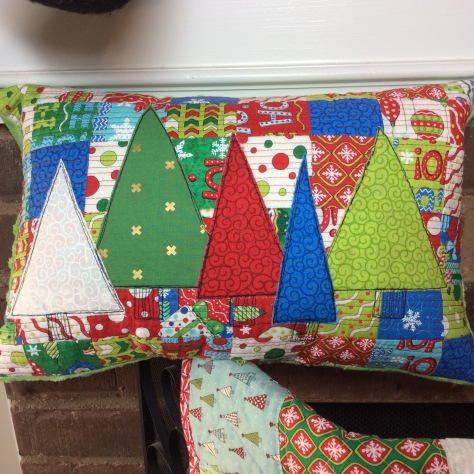 Lori from CrossQuilt made this awesome Christmas cushion, plus an AMAZING rainbow unicorn quilt! 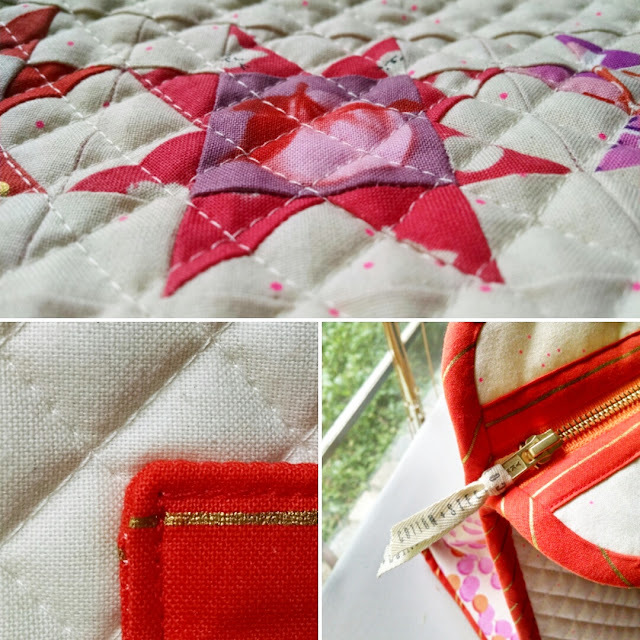 Preeti from Sew Preeti Quilts made this beautiful quilt for a dear friend of hers. 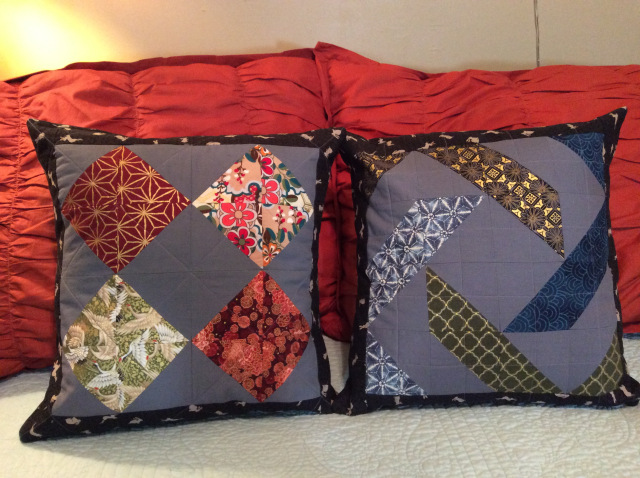 Last but not least, Mary from Quilting is in my Blood made a pair of cushions with lovely Japanese fabrics. UPDATE: Just noticed that the link-up wasn't active yet, but it has been fixed! Morning everyone! 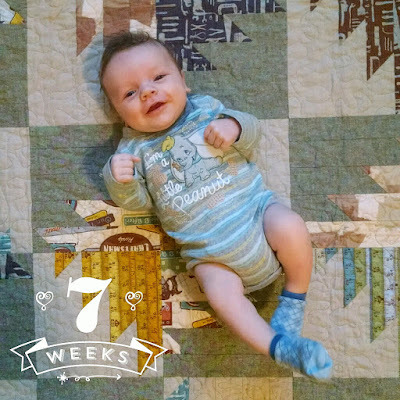 I just got home from Sam's 2 month doctors appointment and that not so little boy weighs almost 13 lbs! He's snoozing away now since the poor thing had to get 3 shots, he was quite mad about that. 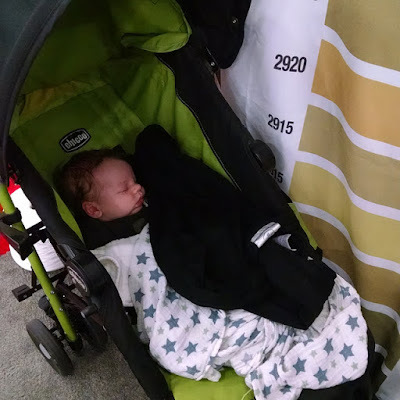 Maybe his extra napping will give me some time to work on a few quilty things. 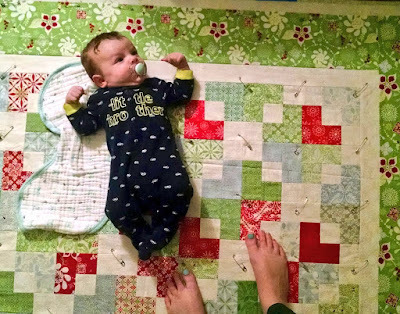 I basted and started quilting this quilt last night, but didn't get very far because Sam was hungry and I was tired #momlife 😉. 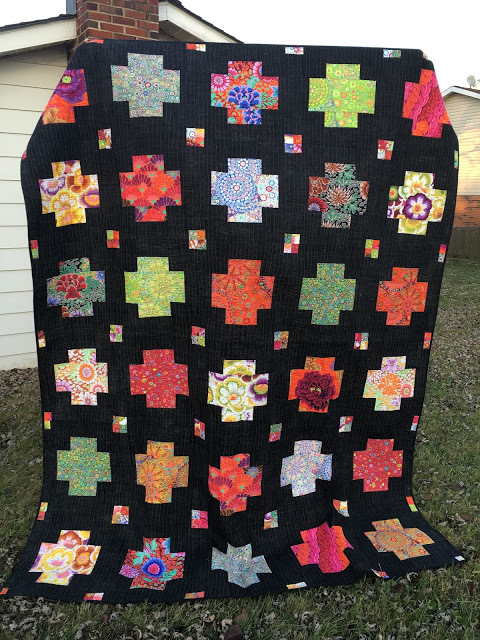 This quilt has been sitting in a box waiting to be quilted for almost a year and a half. 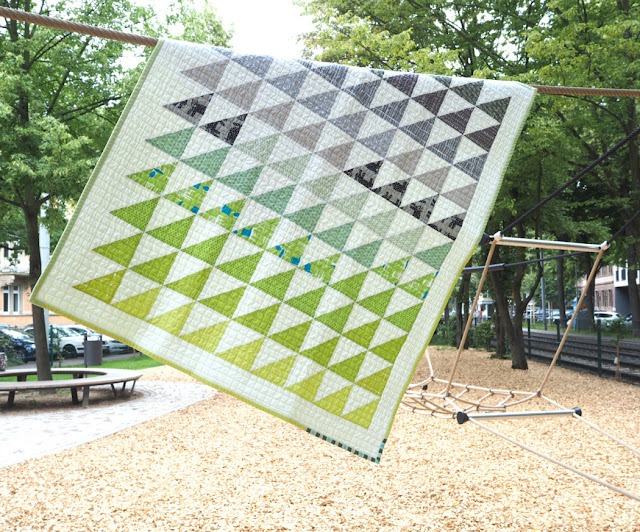 It's the Swell quilt from Camille Roskelly's Simply Retro book, and the fabric is Solstice by Kate Spain. I seriously love all of her Christmas lines! 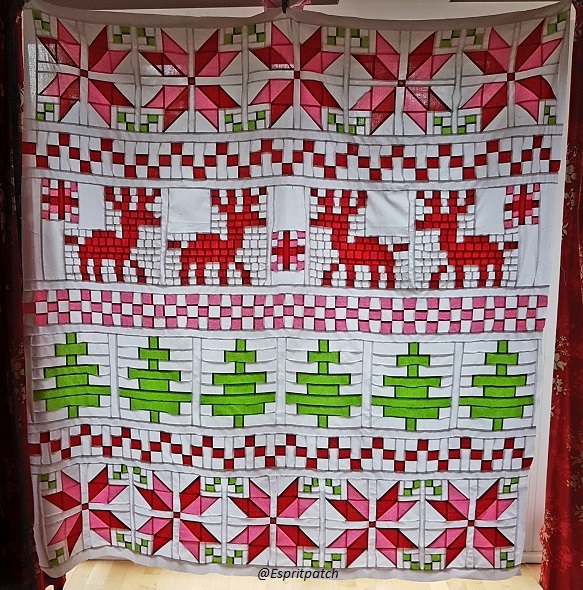 I have another quilt top made from Joy, and William's advent calendar is made from In From the Cold. 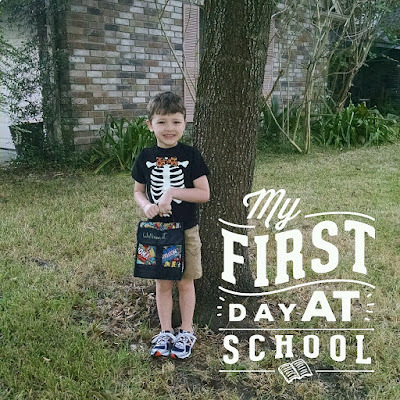 So that's what I've been working on, here are the projects that were shared last week! 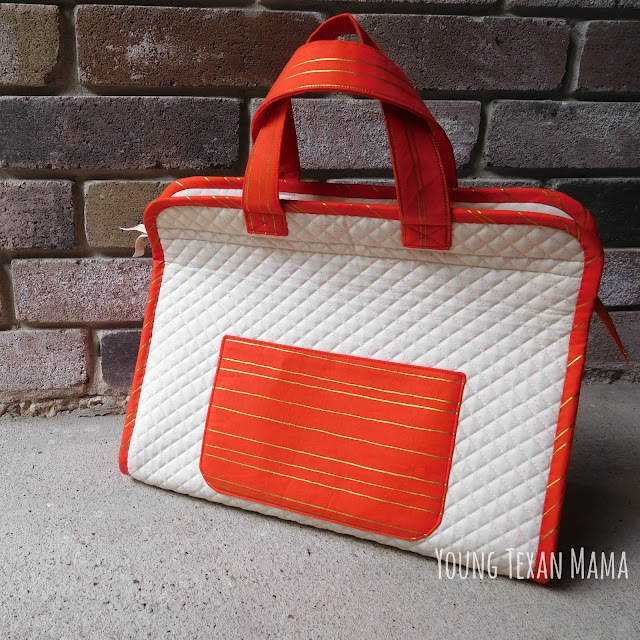 Patty from Elm Street Quilts made this awesome Sew Together Bag! 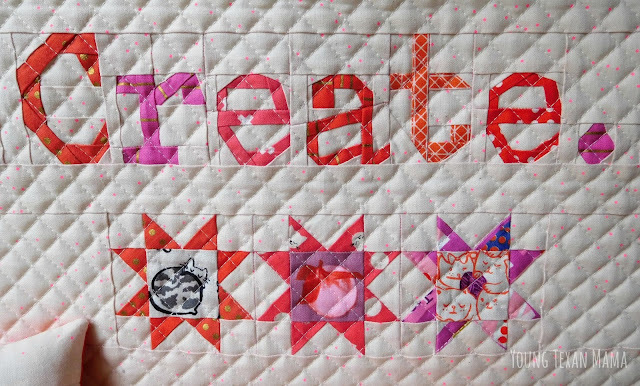 Celine from Espritpatch is working on these awesome paper pieced blocks! I love the hexagon shape! 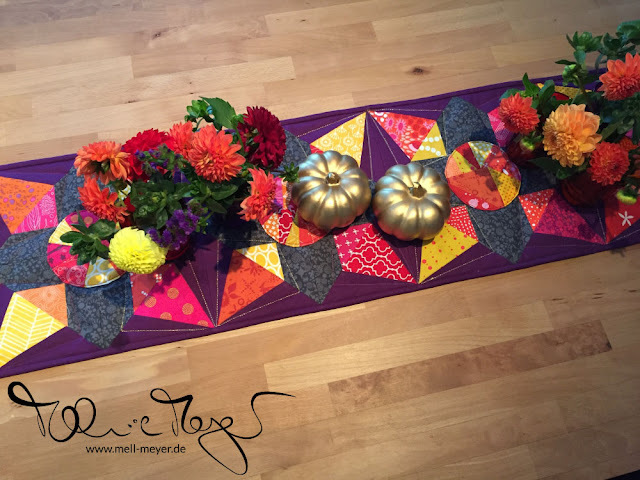 Dollandesign made these festive pot holders. 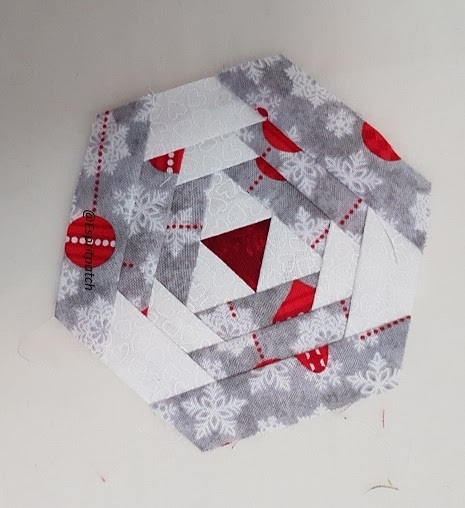 Last but not least, Donnaleeq is working on putting together this Christmas card holder! I can't wait to see how it turns out. 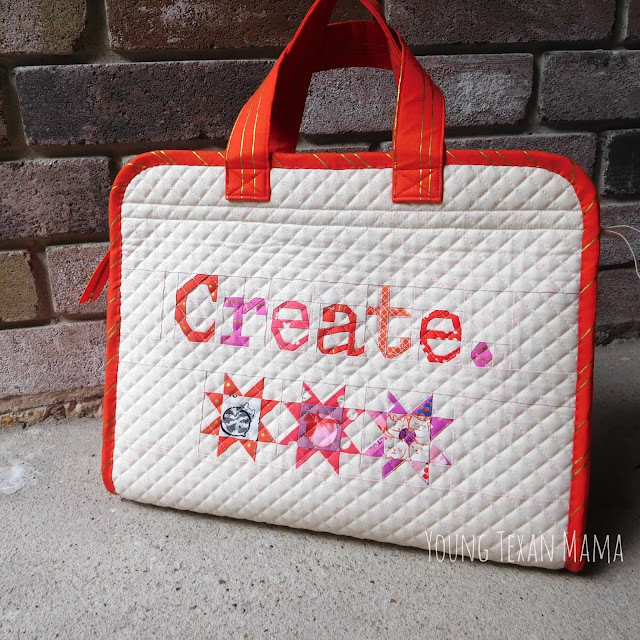 I haven't participated in the Sew Mama Sew Giveaway Day in a couple of years because I always miss it! Well not this year 😉 I am so excited to share some of my stash with my awesome followers! 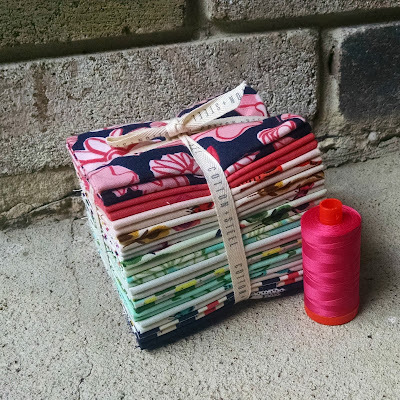 For my giveaway, I am offering a Fat Quarter bundle of Hatbox by Alexia Marcelle Abegg for Cotton & Steel plus a large spool of pink Aurifil thread! Happy Thanksgiving everyone! 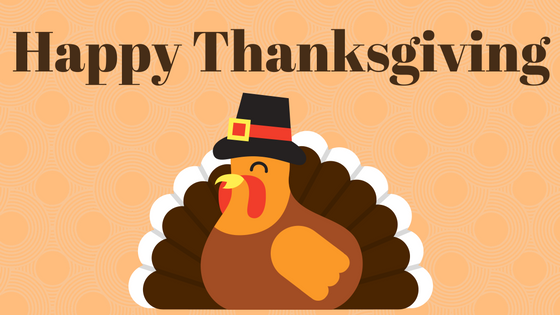 I hope that your day is filled with turkey and all the wonderful pies you can imagine! My favorite is pumpkin, followed closely by apple. 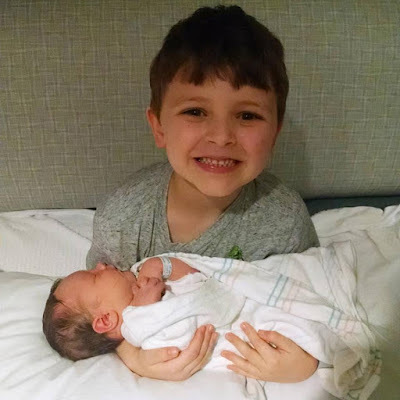 Today, and everyday, I am thankful for my wonderful husband, our two perfect little boys, my amazing Aurifil work family, and of course coffee & sewing. This past year has been filled with unexpected but wonderful changes, and I feel so blessed. I promise one of these days I'm going to post Sew Cute Tuesday at a normal time of day 😉 This past week has been the most relaxing yet because Sam is sleeping for 4 hours at a time! 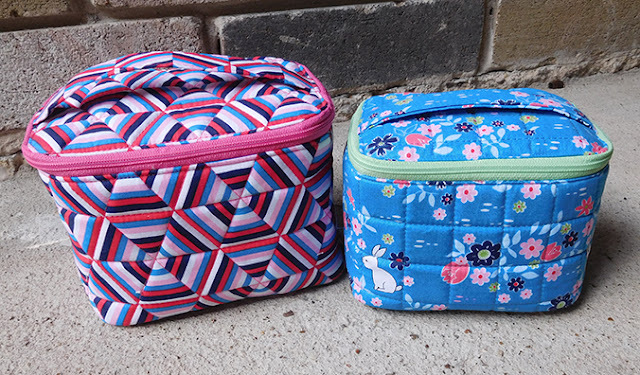 It's a tiny victory that has actually allowed me enough time to do some sewing. I've been working on my #100days100blocks project again and I am getting so excited about being almost done with all 100 blocks. 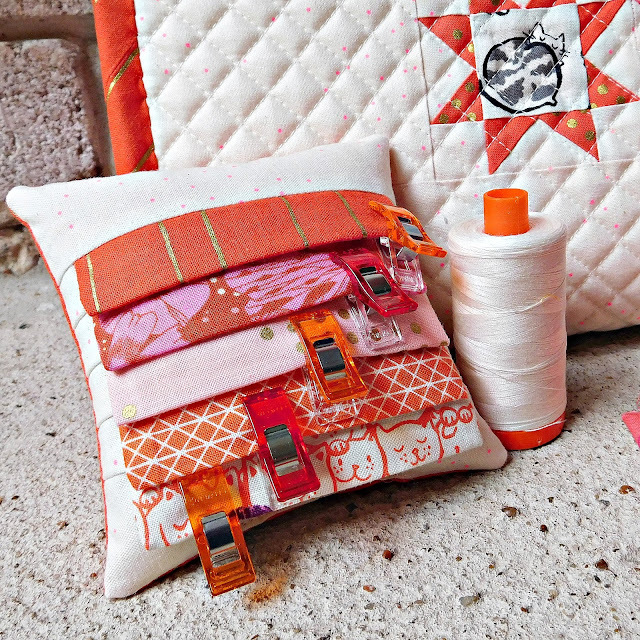 Cynthia of Quilting is More Fun than Housework is making this courthouse steps project out of solids and it is looking wonderful! 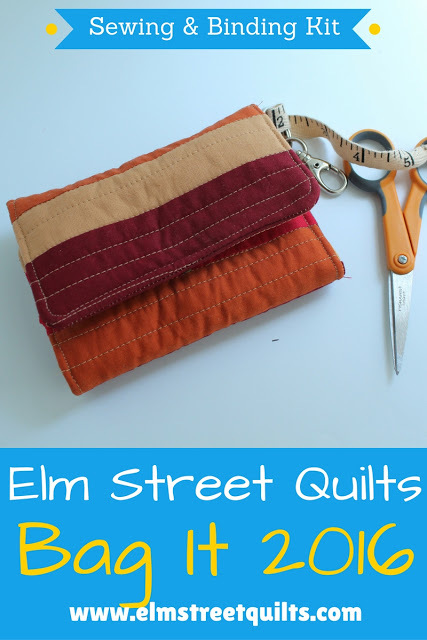 Patty of Elm Street Quilts shared a tutorial for this binding kit, and it looks like a super handy bag to have when binding on the go. 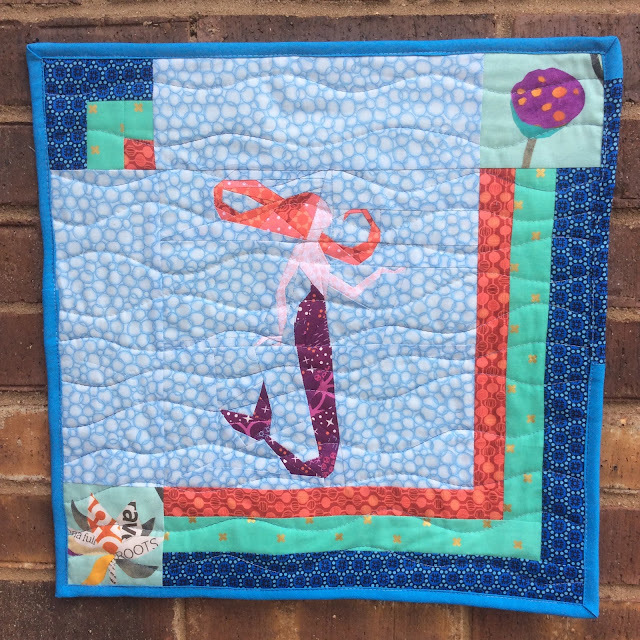 Last but not least, DonnaleeQ shared her completed Craftsy Block of the Month quilt and it is beautiful!